Smartphones are ubiquitous these days. In Malaysia, it’s pretty hard to get by without some kind of smartphone to run basic messaging and social media applications. But Malaysia’s in a bad spot and because our currency is so awful, a large majority of us can’t afford super expensive flagships. Overall, the Moto M ticks all the boxes as an affordable value-beating all rounder for the entry-level to midrange user. Thanks to the solid design and fairly powerful hardware (except for the processors) the Moto M should do well for mostly any situation. Granted, you may need a bit of knowledge to pull out the most of what the Moto M can do, but once you do, you can do pretty impressive stuff with it, making it the all-rounder smartphone that many of Malaysia's masses are waiting for. Lenovo Moto M is really brilliant device in the field of camera and battery section. The camera section has 16MP and 8MP lens whereas the battery section is consisted of 3050 mAh battery. It has 3GB RAM with 32GB internal storage furthermore it is equipped with fingerprint authentication. Overall the device has great features in very affordable price range. Moto M - Motorola's very first all-metal device, has reached India and the company has also announced that the handset will be receiving Nougat update real soon. Let's check out the specs! Positive: Metal case; nice display; decent hardware; quick charge; good speakers. Positive: Nice design; metal case; decent hardware; long battery life; flexible fingerprint sensor; slim size. Positive: Excellent display; metal case; beautiful design; decent hardware; good price. Positive: Good price; nice display; decent hardware; impressive design; metal case. Lenovo Moto M oficjalnie. Chiński design i "bezpieczne, szybkie ładowanie"
Positive: Support waterproof; fast and safe charge; metal case; decent hardware; good speakers; flexible fingerprint sensor. Positive: Decent hardware; nice design; good display; USB-C. Negative: Low autonomy; no NFC. Positive: Good price; nice performance; waterproof; premium design. Negative: Short battery life; poor cameras. Positive: Nice design; good hardware; low price; great built quality; large screen; good display. Đánh giá chi tiết Moto M: Sẽ ra sao khi về tay Lenovo? Positive: Nice design; good display; high performance. Negative: Relatively high price; overheats while using. Positive: Metal case; nice design; powerful hardware; good price. Positive: Nice design; decent hardware. Positive: Stylish design; metal case; nice display; fast fingerprint sensor; decent cameras. Negative: Short battery life. Positive: Stylish design; nice display; fast fingerprint sensor; good cooling system; decent cameras. Negative: Short battery life. Positive: Excellent display; powerful processor; decent cameras; long battery life; metal case. Model: The Lenovo Moto M is a mid-range smartphone, which features antenna bands running on the top and bottom edges at the back. Launched in November 2016, the Moto M comes with a 5.5-inch touchscreen display with a resolution of 1080 x 1920 pixels and a pixel density of 401 ppi. The Moto M measures 151.35 x 75.35 x 7.85 mm and weighs 163.00 g. Depending on the region, the Moto M is powered by either a Qualcomm Snapdragon 617 processor or a MediaTek Helio P15 processor. It is paired with 3 GB or 4 GB of RAM and has an internal storage of 32 GB or 64 GB. The storage capacity can be expanded by up to 128 GB with a microSD card. The dual-SIM Moto M smartphone features a hybrid dual-SIM slot, which indicates that it supports a Micro-SIM or microSD card in the second SIM slot. 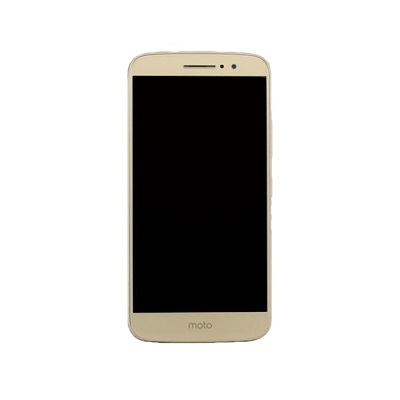 The Moto M features a full metal unibody design, which looks premium and solid in the hand. There are three color options, which are gold, gray, and silver. It has a splash-proof design (or nano-coating), which indicates that it can withstand light rain or water splashes. The Moto M also has a rounded back alike the Moto G4 and G4 Plus. At the back of the Moto M, there is a fingerprint sensor which is placed differently from previous Moto smartphones such as Moto Z, Moto Z Force, and Moto Z Play. These models have their fingerprint sensor placed on the front Home button. The fingerprint sensor works quite well and detects fingerprints quickly. As for the camera, the Moto M features a higher resolution 16 MP rear camera with 1-micrometre pixel size. In addition, the rear camera features dual-LED flash, a f/2.0 aperture, and supports PDAF (phase detection autofocus). Shots are good but there is nothing to shout about. There are more capable shooters at this price range. The Moto M also features an 8 MP front shooter with 1.12-micrometre pixel size for selfies and video call. For audio, the Moto M features a rear speaker with Dolby Atmos audio enhancement for better audio quality and active noise cancellation with dedicated mic. The Motorola Moto M runs Android 6.0.1 Marshmallow out of the box and will get the Android 7.0 Nougat update soon. It is powered by a non-removable 3050 mAh battery with support for fast charging and the Turbo Charging power adapter brings the charging time to a minimum. The Moto M comes with up to two years of free storage at original quality in Google Photos. With Google Photos, photos are automatically backed up, organised, and searchable. The Moto M supports 4G with VoLTE for faster mobile data transfer. It is Lenovo’s effort to put out an affordable version of the Moto Z series. However, it lacks in some features of the Moto Z. Nevertheless, the mid-range smartphone category can only get better with the Moto M as another choice.